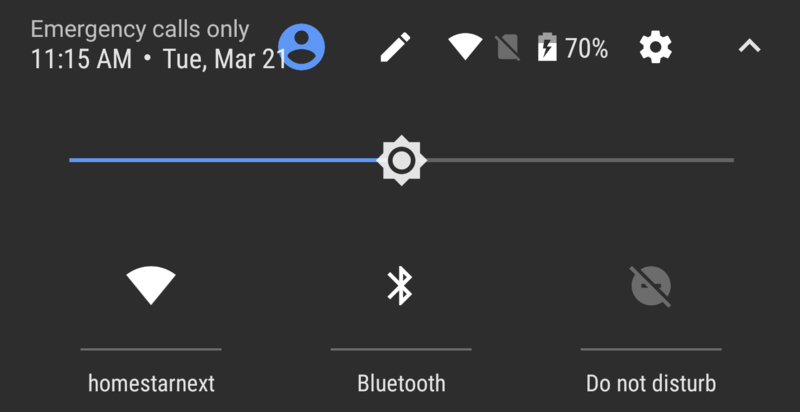 If you pull down the status bar on your Google Pixel running Android 7.1, you'll see the time, day, date, and a settings quick access button in the status bar area. In the new Android O preview, things have been changed a bit. For one, we have a much cleaner font for the time and date information. But we also still see our connectivity statuses for Wi-Fi and mobile data, the current battery percentage (plugged in or unplugged), and the individual battery icon is gone (it now just toggles battery saver). Compare below - current Nougat on top, new O version on the bottom. You might argue having both Wi-Fi and mobile status displayed on the quick tiles and the status bar is redundant, but I think this A.) provides better visual continuity and B.) ensures you don't lose out on those things if you decide to deprioritize them in the ordering of your quick settings tiles. I'm also very much a "battery percentage outside the icon" fan, but I know Artem isn't loving that change. 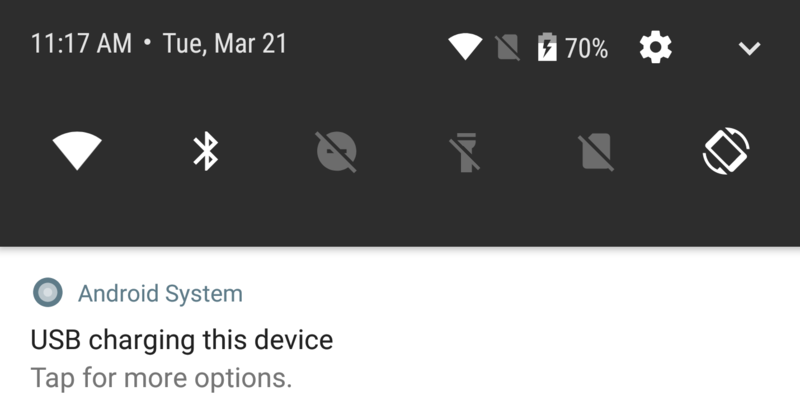 Also, I'd say the Android team isn't quite done with the UI here, as in fully-expanded quick settings mode, things... overlap.